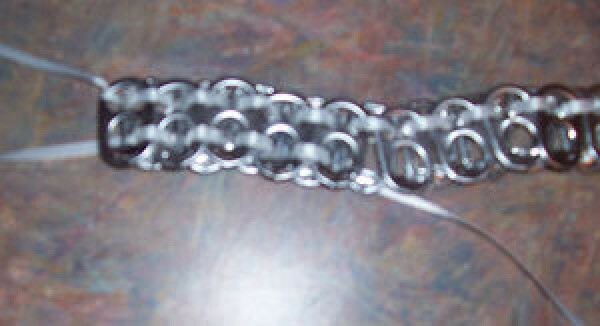 Make a fashion statement with some pop tabs and ribbon! 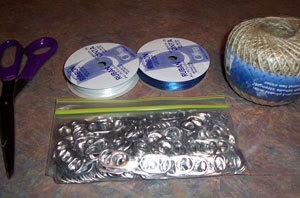 Take one pop tab and place it on a piece of ribbon that is big enough to surround your neck. Tie it in a knot at the end, leaving at least 4 inches of ribbon loose. Place another pop tab under the first with the "bottoms" (which is the side that would be down on your can of pop) facing each other. Slide the 2nd pop tab slightly to the right. You should see an opening in the two pop tabs that is oval in shape. Feed the ribbon up through that hole. Place another pop tab next to the first pop tab. You should see another oval of space when you look at the 2nd and 3rd pop tabs. Feed the ribbon down through that hole. 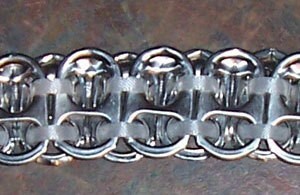 Keep repeating the "add pop tab, feed ribbon" until you have a long enough string of tabs to encircle your neck. 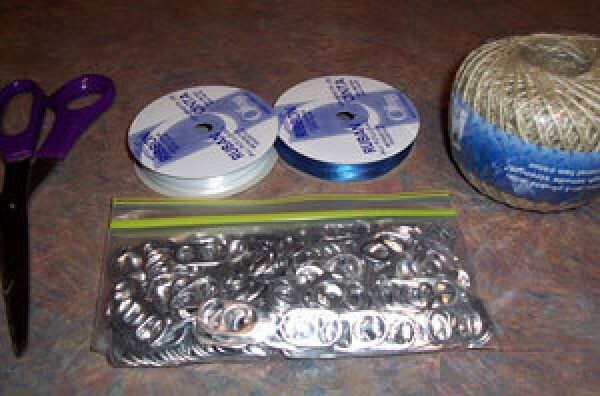 Tie the loose end of the ribbon in a knot around the last pop tab. There should be 4 inches of ribbon loose after knotting. Tie the extra ribbon in a bow at the back of your neck and enjoy. You can use two different colored ribbons, if desired. Be careful that all sharp edges on the pop tabs are filed down before adding them to your necklace or throw those particular tabs away. This craft is rather difficult and time consuming. It would work wonderfully as a project for a crafter's workshop. Nice project when you are working with teens. This would be cute for embelishments for candle jars, etc. Sounds good to me for Physical Therapy. If you use a green ribbon it will make a "Going Green" statement. These make great hatbands as well (particularly if you life in cowboy country where a lot of people wear cowboy hats)! Taller / wider and joined at the ends? Excellent candle holders / luminaries. I've gone so far as to make a vest, but had to line it with durable fabric as the insides of those tabs are very prickly.